Everyone wants to be liked. This was first felt in the schoolyard. It meant being invited to hang out with the popular gang. It was noticed when you were offered to attend that all important birthday party. When college came around it was being selected to be on the football team, chosen for that all important committee or be part of a fraternity. It doesn’t change when you start your career. You need to be “liked” to get past first base at that job interview. Being left off the list is a lonely place. On the social web that has been transformed into every brand wanting to be liked. These likes are now marketing benefits. 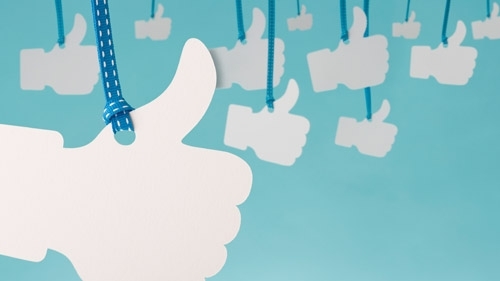 What Are the Benefits of Facebook Likes? So you are chasing the blue upturned thumb. Why should you? Creates social proof that your brand is popular, which says “everyone likes us so you should check us out and find out why.” Empty restaurants may have great food but those empty tables scream a different message. Sell more products and services. All of these are important as marketing moves from offline to online. So How Do You Get More Facebook Likes? Dan Zarella likes doing research and loves numbers. Often he lurks around calculators, spreadsheets and data crunching computers. So he has summoned the lists of figures and made the database sing and dance. This meant he collected 1.3 million posts on 10,000 of the most liked Facebook pages and did some correlation and calculation. Then he made simple sense of the complex. Here are some of his results. They may have some revelations for you—it did for me. The data showed some results that many of you already know. Photos are helpful for garnering likes but there are some surprises. Short posts and long posts get a higher “like” percentage. In fact, an 800 character post can get as many likes as one with 90 on Facebook! The conventional wisdom is short always wins. The data says something different. Share percentage on Facebook spikes at around 450 characters. So on the topic of Facebook sharing the data analysis insights show that if you want your Facebook post to be shared rather than just liked, then make it 450 plus characters. Self-reference works well on Facebook. If you use “me” or “I” then you will gather more of those Facebook likes. Want some more scientific data then check out the rest of Dan’s infographic. What tactics have worked for you in building your Facebook likes? Have short Facebook posts been your habit? Are longer posts something you have tried and have they produced positive results?